Kenmore has been a household staple since 1913 and is perpetually evolving to help customers cook, clean, and live better. They are known for high-quality appliances that are built to last for years. 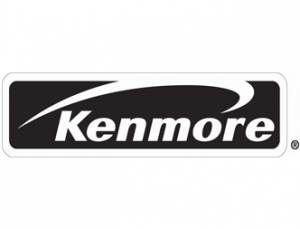 Customers turn to Kenmore when seeking appliances that can withstand the wear of daily use. Their products get the job done the first time, saving customers time and energy on chores. Always seeking new ways to improve, Kenmore’s constant technological innovations keep their appliances ahead of the competition. Kenmore’s products are built with the customer in mind, ensuring technological advances that serve to benefit the user. For over a century, Kenmore has proven itself as a brand customers trust. However, despite Kenmore’s reputation, their appliances can still break down over years of use. Appliances can break down years after warranties expire. Reoccurring complaints include, Kenmore refrigerators leaking water and their icemakers malfunctioning. Fast Appliance Repair is proud to offer quality repairs on all appliances, including those built by Kenmore. We can repair Kenmore dishwashers, stoves, dryers, cooktops, refrigerators, microwaves, ovens, washers, and more.